A REAL Snow Broom... Thicker. Stronger. Better. 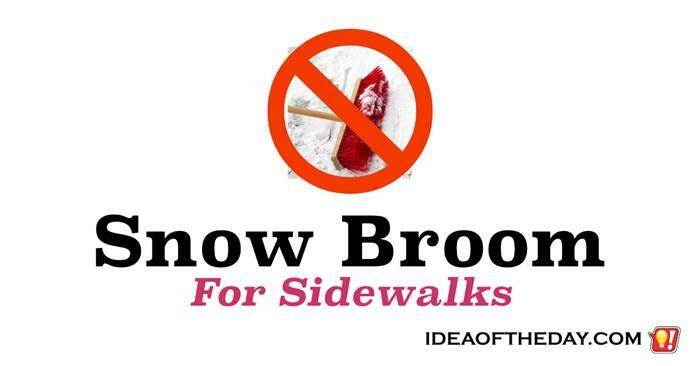 Every time I sweep snow with a regular broom, I wonder why there isn't one designed specifically for snow. Once again, it snowed in New York, and this time there was a lot of dusty snow that the shovel didn't pick up, so I reach for the broom. After a few minutes, the broom becomes worthless. It's gummed up with so much snow that the head is now twice it's original size. So I stand there banging it on the curb over and over trying to at least get rid of some of the snow. Eventually, I simply reach for another broom and start the process all over again. 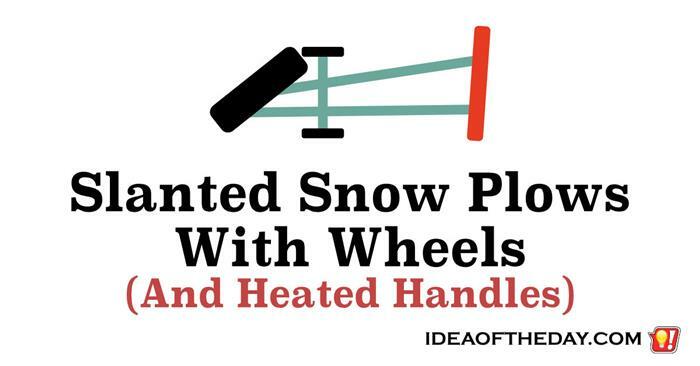 Why don't you ever see shovels with wheels? I hate shoveling snow. I really hate it. In fact, I'd like to officially say it right now, as the east coast prepares for a monster snow storm, that I can't stand shoveling snow. So, if anyone asks if I actually enjoy shoveling snow, just say no. Am I the only one who feels this way? I don't think so. I think if you took a poll right about now asking 100 people if they like shoveling snow, you might actually get more than 100 no votes, because some will hate it so much, they'll vote twice. You would think that if so many people hate shoveling snow, you would find some a ton of products in stores that make shoveling snow a little better... even a little?